young people in the UK. At any time, you can remove yourself from this list by clicking the unsubscribe link in the footer of any email you receive from us, or by contacting us at info@worthunlimited.co.uk. You may also ask to see what personal data we hold about you and you can ask for your data to be removed from our systems. (The only exception to this is that, when you have donated money, we will retain records associated with your name and address for a period of 6 years from your final donation to comply with our legal obligations under accounting law.) 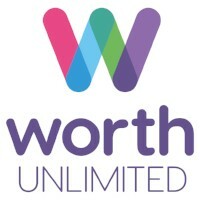 For more information about our privacy practices or to amend or arrange deletion of any data we hold on you, please contact our Head Office on 020 8004 8610 or info@worthunlimited.co.uk. By clicking subscribe below, you agree that we may process your information in accordance with these terms.